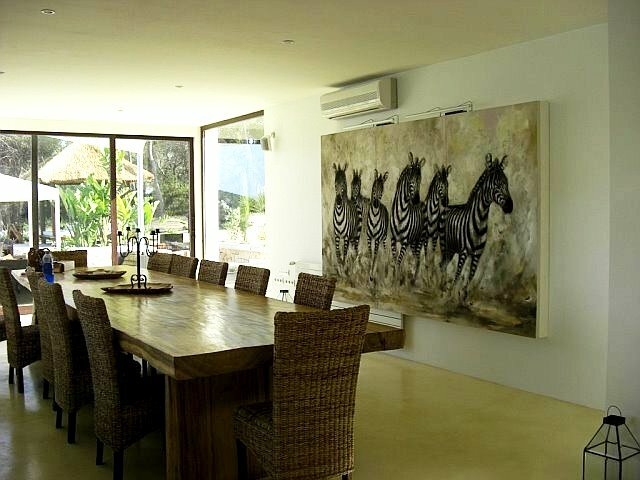 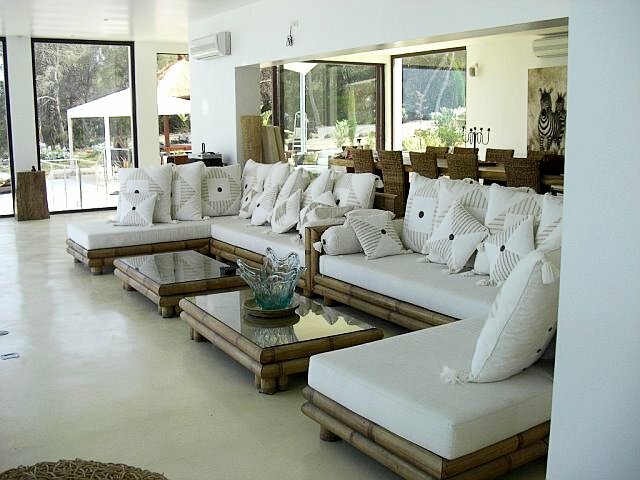 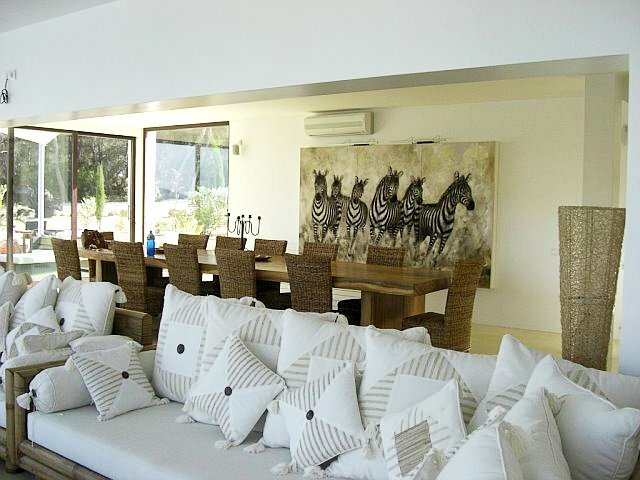 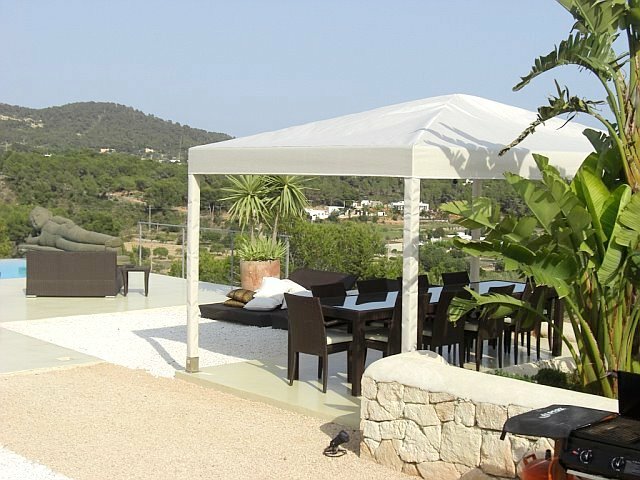 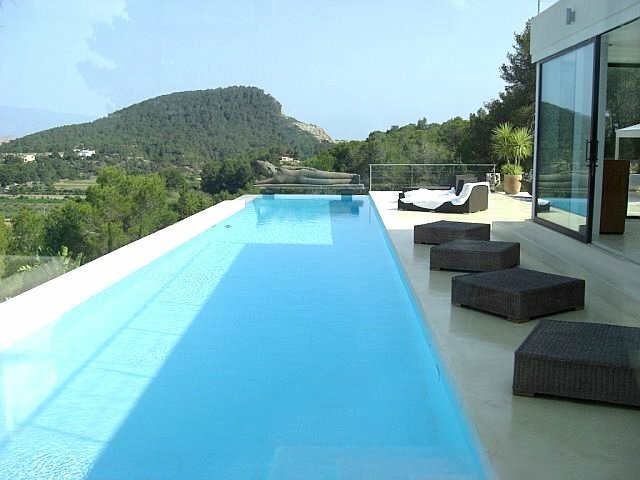 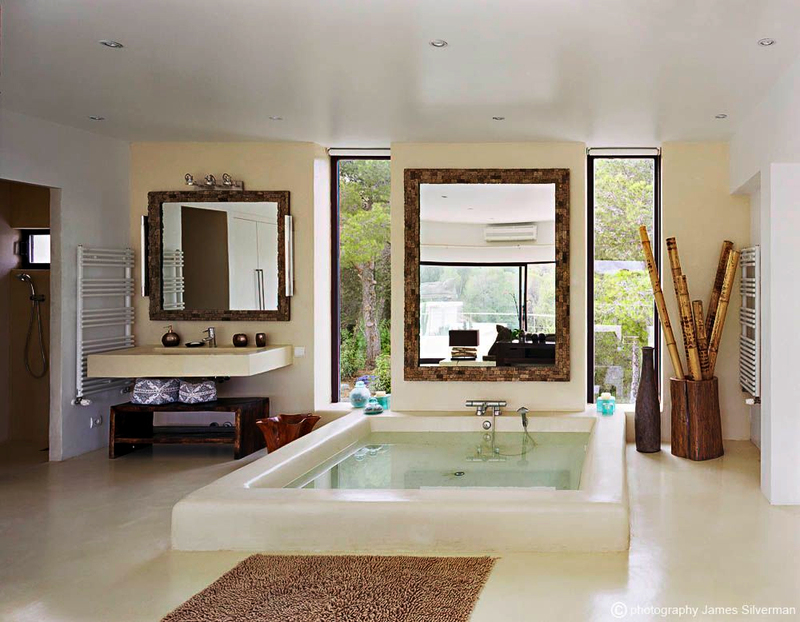 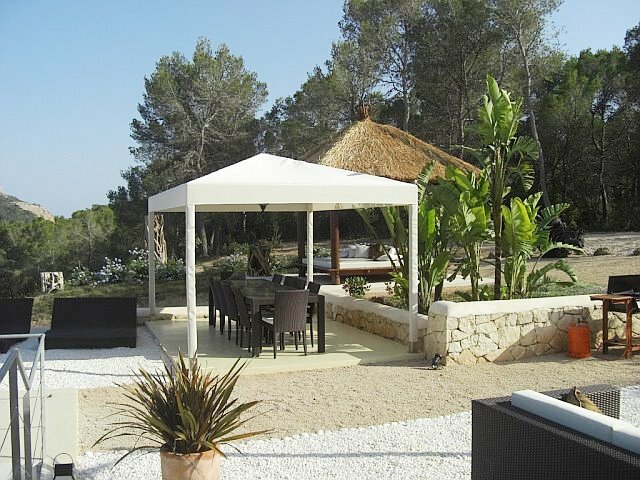 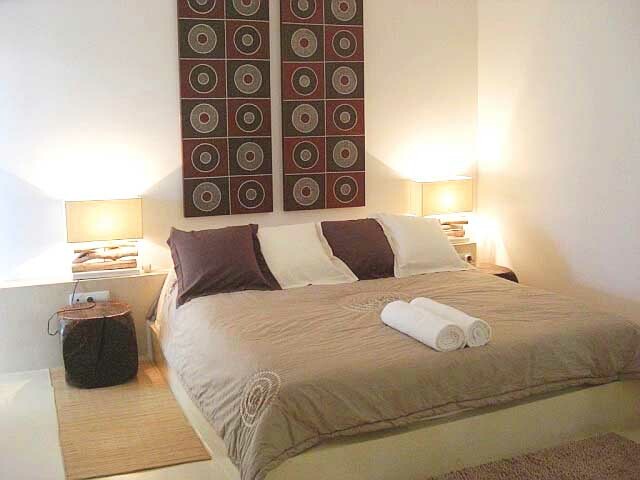 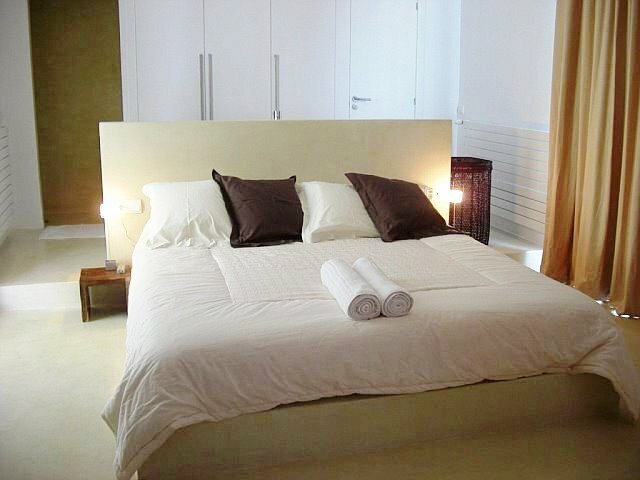 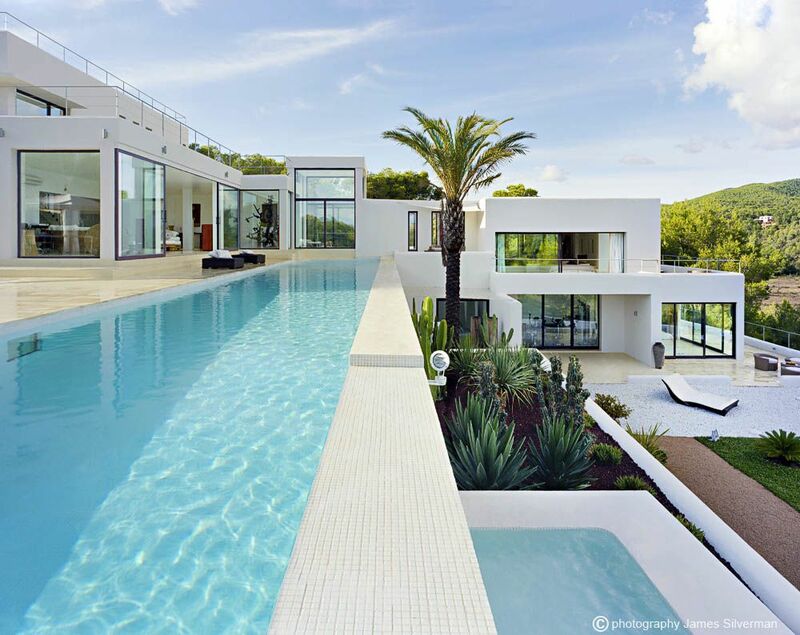 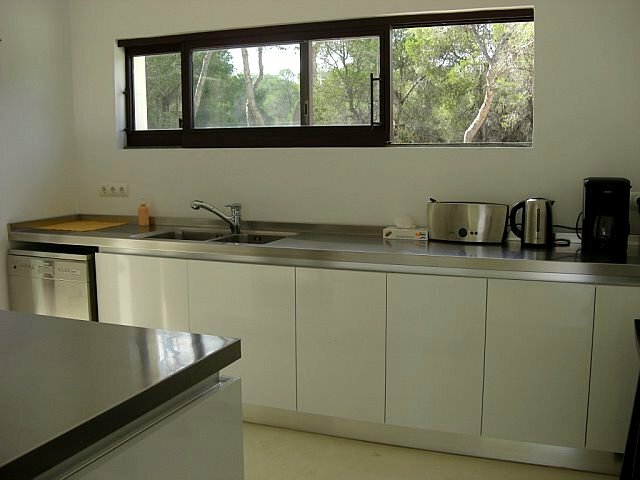 Here is a stunning Ibiza villa located about 10 km from the city center. 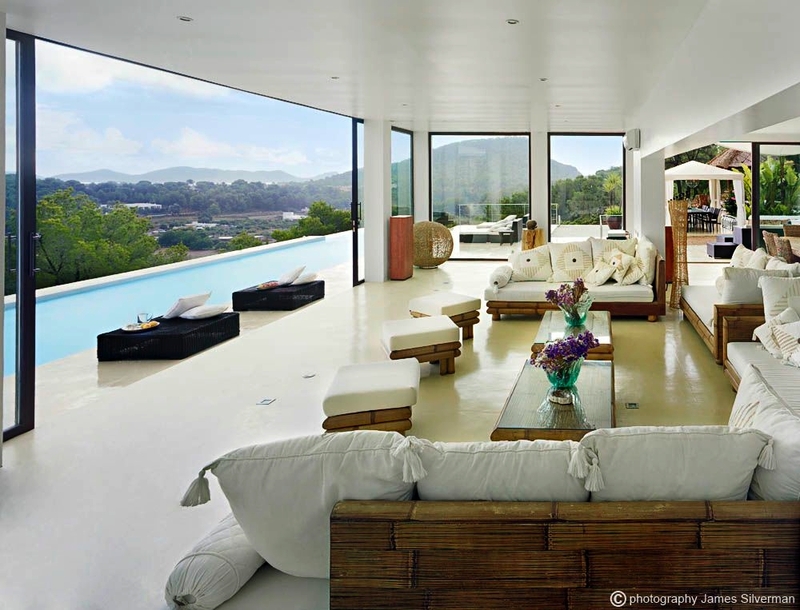 Minimalist style, very bright and with a beautiful view of the sea, the house is divided into five levels and is composed of a large living room with TV and dining table, a full kitchen, five bedrooms and six bathrooms. 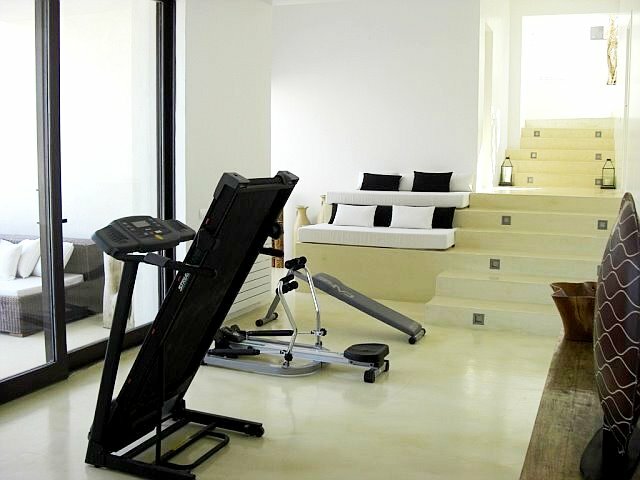 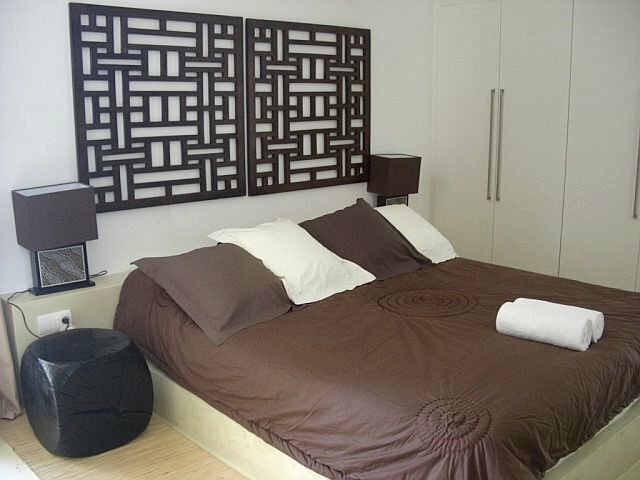 The house is equipped with air conditioning, alarm, wi-fi, gym, barbecue area with dining table and a swimming pool with sun terrace. 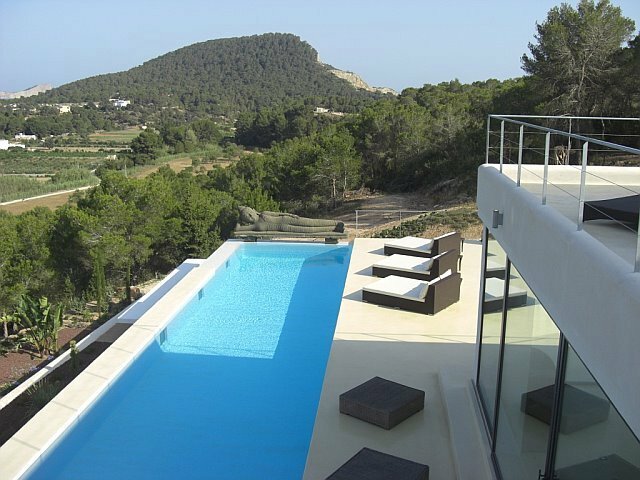 For lovers of the sea, within 1 km from the property, we find one of the most beautiful beaches of the island: Cala Jondal surrounded by green hills. 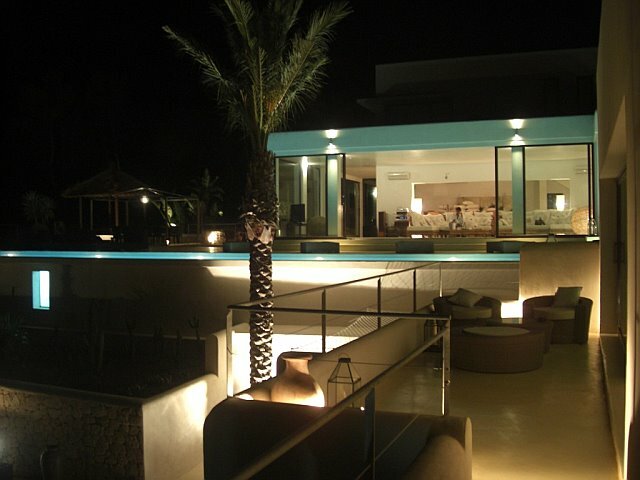 This beach is characterized by white sand and clear water and on the promenade we find a fabulous selection of bars and restaurants.